In this paper, we present a robust 2-D self-potential (SP) inversion algorithm that has proven to be suitable for both environmental and hydrogeological applications. The work proposed here continues from the recent advances in theoretical and experimental aspects of the self-potential method by detecting the depth and the shape of shallow electrical current density sources using the least square subspace preconditioned (LSQR) method to compute (an approximation to) the standard-form Tikhonov solution. The preconditioner is based on the subspace defined by the columns of the Kernel matrix and the method adopted for choosing the fixed value of the regularization parameter is the generalized cross-validation. The decrease of resolution, due to the fact that the self-potential field decays quickly with the distance, is controlled by a depth weighting matrix. A laboratory experimental setup has been assembled for locating two buried ferro-metallic bodies of any size at different depths using the inversion of self-potential signals associated with the redox process. The inverse problem is solved by accounting for the electrical conductivity distribution and the self-potential data in order to recover the source current density vector field. Both synthetic and real simulations, performed on a sand model with anomalies included, provide low-error inverted models whereas anomalies are well-detected for position and shape. 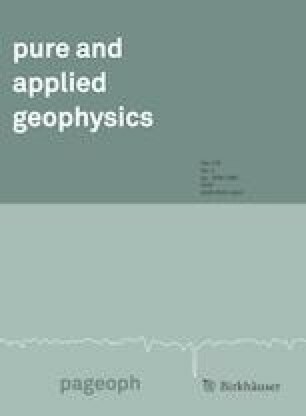 The inversion algorithm has been also applied to a field data set collected in the San Vittorino Plain, located in Central Italy, in order to identify the location of sinkholes and investigate the effects of different resistivity structure assumptions on the streaming potential inversion results. The laboratory set-up is part of a PRIN financing (2007–2010). The authors would like to offer their special thanks to Giorgio De Donno (Sapienza University of Rome) for his scientific contribution and his useful suggestions. They wish to acknowledge the help provided by Francesco Pugliese (Sapienza University of Rome) during the laboratory experiences.